Infosys share price gained over 2 per cent on both Sensex and Nifty. 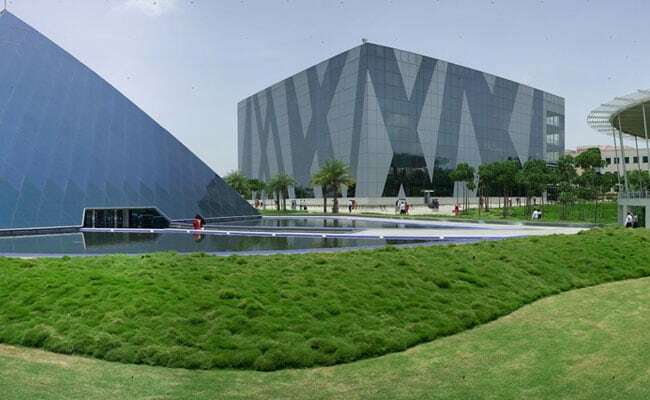 Infosys share price gained over 2 per cent on both the key domestic benchmarks ahead of the announcement of the company's June quarter's results. At 11:54 am, on the Bombay Stock Exchange (BSE), Infosys share price was at Rs 1,315, up Rs 20.40 or 1.58 per cent. At the same time, on the National Stock Exchange (NSE), Infosys share price was at Rs 1,315.75, with a gain of Rs 21.40 or 1.65 per cent. Until the first half of the trading session, Infosys was the top gainer on both the Sensex and Nifty. On the BSE, Infosys share price hit an intra-day high of Rs 1,331.35 before opening at Rs 1,310. Infosys share price hit an intra-day low of Rs 1,308.05 while its previous close on Thursday was at Rs 1,294.60. The 52-week high of Infosys share price on the BSE is Rs 1,358. On the NSE, Infosys share price hit an intra-day high of Rs 1,331.60 before opening at Rs 1,315. Infosys share price hit an intra-day low of Rs 1,307.35 while its previous close on Thursday was at Rs 1,294.35. Infosys share price hit a 52-week high of Rs 1,357.90 on July 3, 2018. Brokerage house IDBI Capital is expecting the IT major to report a revenue growth of 1.5 per cent and 7.4 per cent on a quarter-on-quarter and year-on-year basis respectively at $$2,848 million. It has an "accumulate" recommendation on the Infosys stock with a target price of Rs 1,232.